Rebonding and straightening are two treatments that are used to straighten hair. Rebonding involves chemically altering the structure of the hair whereas straightening involves temporary changes in the texture or shape of hair using different equipment and solutions. The main difference between rebonding and straightening is the longevity of the straight hair; rebonding is a permanent hair treatment since it alters the structure of the hair whereas straightening is a temporary hair treatment. 3. What is the difference between Rebonding and Straightening? Rebonding is a hair treatment that involves chemically relaxing the hair. Rebonding will make your hair look smooth, sleek and straight. This method uses strong chemicals to break the naturals bonds of the hair and to rearrange these bonds to get straight hair. The chemical that is used to break the bonds of the hair is called a softener or a relaxer and the re-bonding of this bonds is done by a neutralizer. Rebonding is a time-consuming process that has to be done carefully so that the hair is not excessively damaged. Therefore, many people prefer to go to trained hair stylists to rebond their hair. Rebonding is a comparatively permanent solution and lasts as long as a year – depends on the time your hair takes to regrow. Rebonding can be done for all types of hair. But it is usually preferred by people with curly, voluminous and untamable hair. However, rebonded hair needs a lot of care than normal hair due to all the chemical treatments it has undergone. However, using various heating techniques such as hair irons and hot combs can also damage your hair. Overuse of heat can permanently damage the structure of your hair; this is known as heat damage. The only way to repair this damage is to cut off the damaged hair and regrow it. Therefore, it is advisable to always use protective lotions or sprays before using thermal treatments. Rebonding: Rebonding is a chemical treatment. 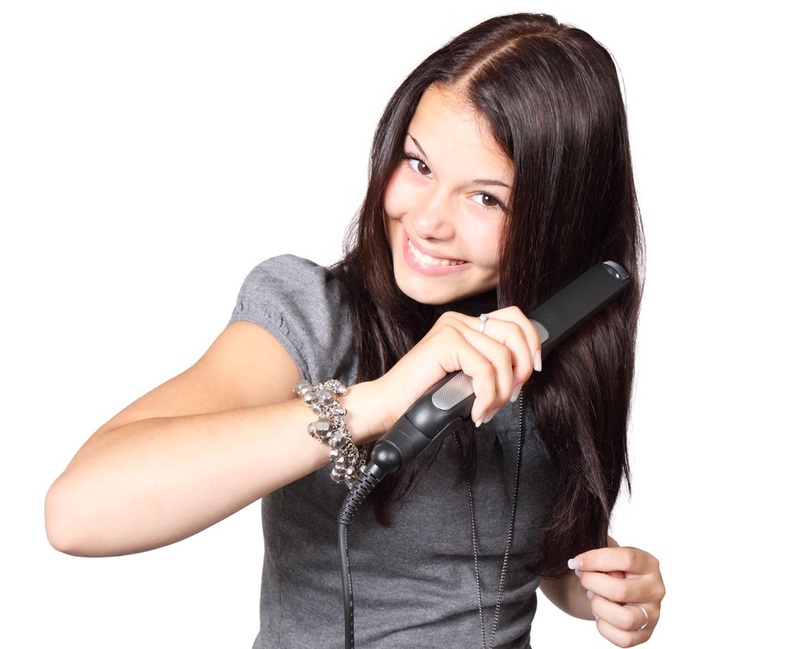 Straightening: Straightening involves thermal treatment or chemical treatment. Rebonding: Rebonding is a permanent treatment that lasts for at least a year. Straightening: Straightening is a temporary treatment. Rebonding: Rebonding alters the structure of the hair. Straightening: Straightening doesn’t alter the structure of the hair. 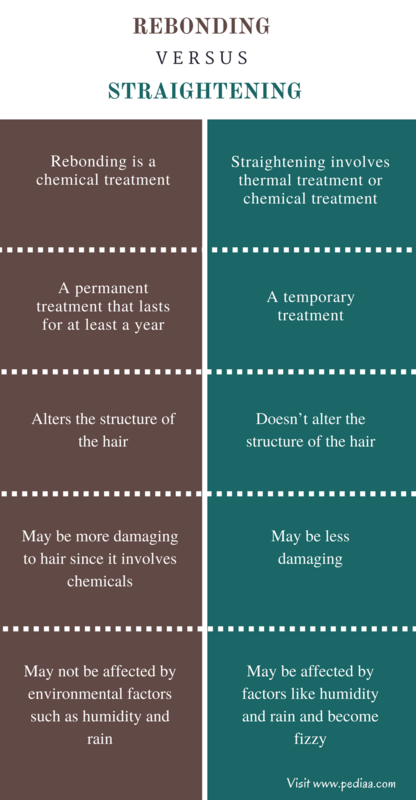 Rebonding: Rebonding may be more damaging to hair since it involves chemicals. Straightening: Straightening may be less damaging. Rebonding: Rebonded hair may not be affected by environmental factors such as humidity and rain. Straightening: Straightened hair may be affected by factors like humidity and rain and become fizzy. Rebonding: Many people prefer to do rebonding at a salon. Straightening: Straightening can be done at home.